Hello Everyone! 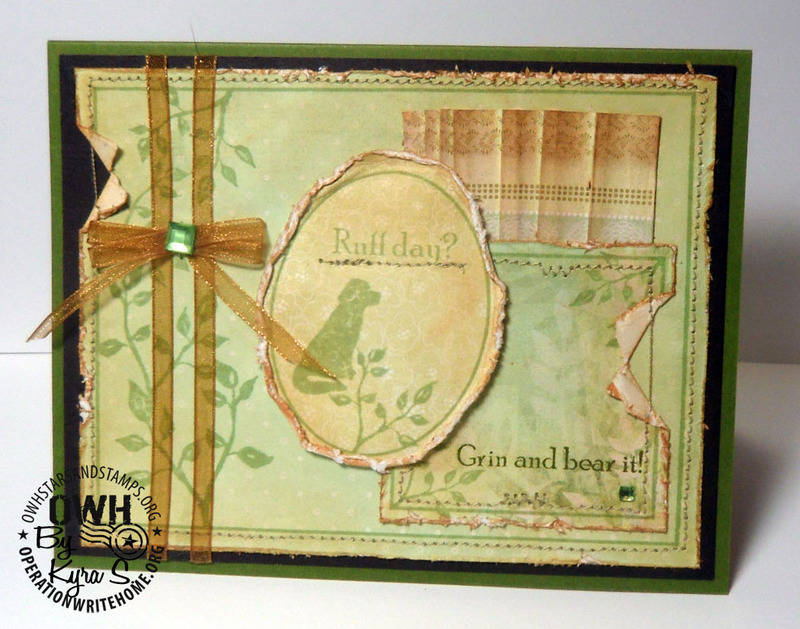 I am excited to be able to introduce you all to Kyra this week and share a wonderful group of her cards with you. I find it particularly inspiring to meet cardmakers like Kyra, who were raised in military families and can help the rest of us relate to what it’s like and just how much a hand-written card sent home can really mean. Kyra blogs over at The Bunny Nest where you can see more of her terrific work. Hop on over and pay her a visit and don’t forget to leave her a hello here at the end of this post too! How long have you been stamping? My mother introduced me to stamping through her sale finds at Michael’s while I was away at college, way back in the late 1900s. 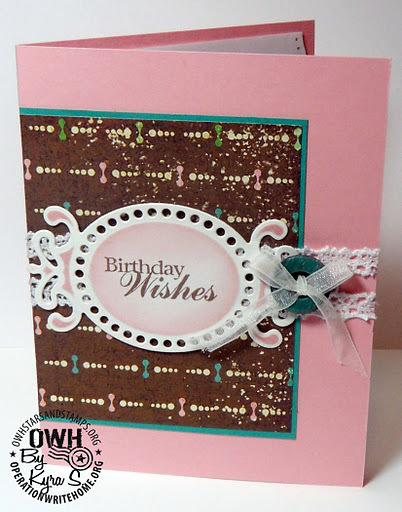 There has been such a huge change in the stamping industry since then! I started experimenting with stamps in the early 1990s, and bought some Stampin’ Up supplies from a needy friend in 2001. I was hooked, though, when I found Unity Stamps and I’ve lost a lot of income since then! Happily! Do you have a craft room or specific area where you stamp/craft? I own the ArtLab where I encourage experimentation with all sorts of art supplies. It’s my little hide-away, and IKEA has contributed to my organization. It has taken years getting to this point, so please, readers, don’t lose hope! My Lab shares purpose with art journaling! Do you have a favorite technique? There are three techniques that I turn to when I need something stunning, and fast. First – dry (or pressure) embossing creates great, fast frames for the perfect image. Second – glossy cardstock turns STELLAR with some metallic mixatives and alcohol ink. And, third, I love *LOVE* using watercolors or distress inks with big-crystal salts (Kosher, Rock, etc.) to create stunning backgrounds! Oh… and the bonus, 4, I love using inks to create a scene. It’s easy when you learn – you can use inks for so many great backgrounds! Wonderful cards…so hard to pick a favorite! I agree that we must always support those serving their country. Thanks for sharing you story and talents. I love all of your cards, Kyra, but especially the one with the train. It looks like that train is going to drive right off the card – so cool!I agree with you 100% – our military heroes deserve our best. You have a great style…love the shading on your labels. 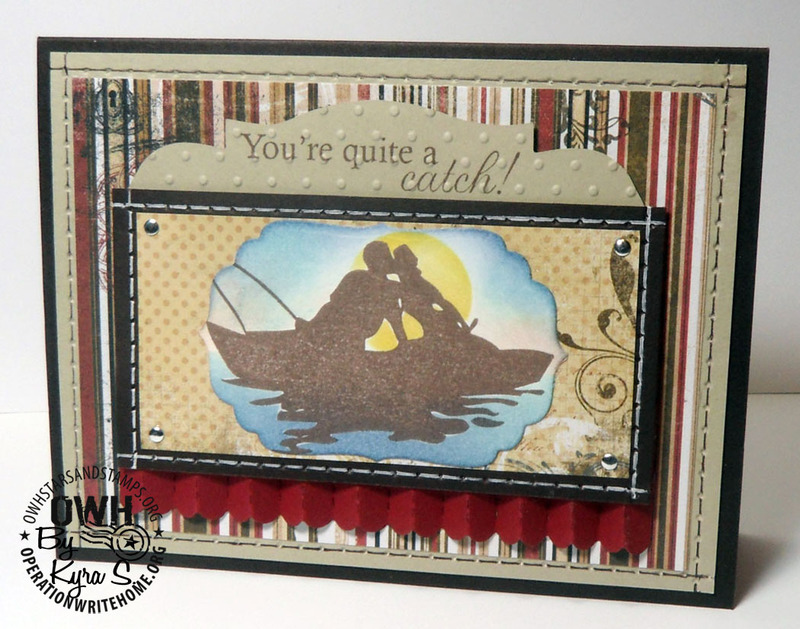 Kyra – lovely cards and a great story. Thanks so much for sharing!! 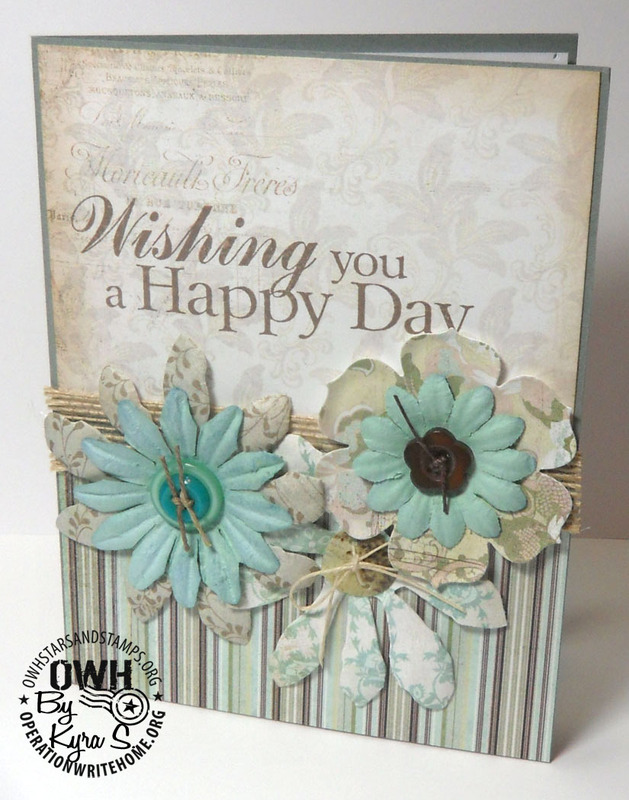 Thanks for sharing your wonderful background and cardmaking here. 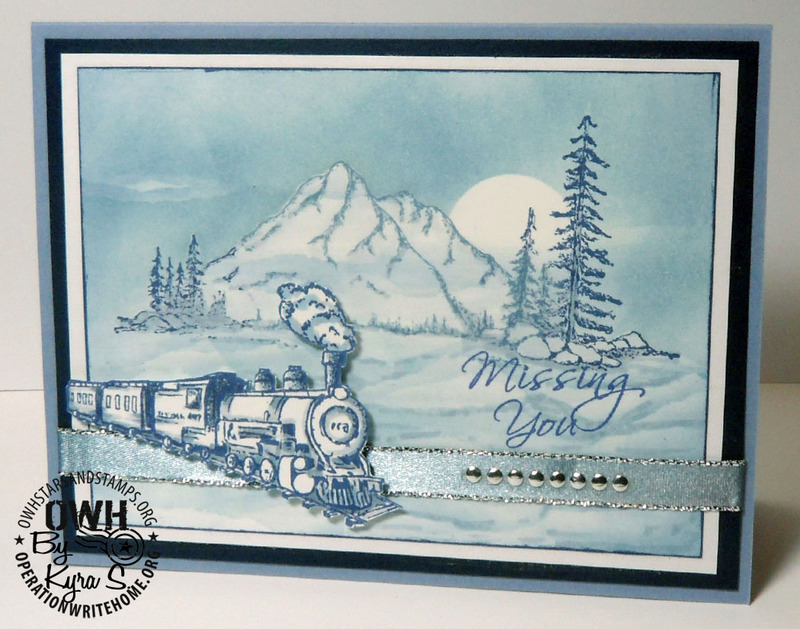 Beautiful work!Love the missing you card with the train… that background looks like your own handiwork.